Cultural Front: Haley Reading Group: "The Devil Is in the Details"
Haley Reading Group: "The Devil Is in the Details"
In his article “The Devil Is in the Details,” Christopher Solomon describes the fight for claim over wilderness land in Utah. He explains that the fight for land is not just in ownership but also for “natural gas, oil, and potash” (167). Contacted by Utah Congressman Rob Bishop, Solomon travels to Utah to witness Bishop bargain between environmentalists, Native Americans, energy companies and corporations for the land (169). This article displays the difficulty is dispensing land and ownership with various parties involved with severe consequences to the earth at stake. What was one of the major challenges mentioned in the article that caught your attention? Why did that particular challenge stand out to you? Cite page numbers where necessary. In my opinion, I believe the biggest hurdle in this article was that of getting Congressman Bishop's bargain to be agreed upon. The deal would have "could protect the largest amount of wilderness acreage in a generation". I believe it is of the upmost importance to keep our natural lands and resources safe. With threats like climate change, and simply using up our finite resources, we must protect and be cautious with the things we still have left. The biggest challenged that stood out to me in this article was that "in pursuit of land conservation, critics charge, environmental groups frequently horse-trade inappropriately with the public's land..etc" (174). Wilderness specialists and academics have fears that the approach of collaboration to help breakdown logjams to protected parts of the map, may be setting dangerous precedents. There needs to be some type of deal and balance between nature and the demands of people. I think the biggest challenge that stuck out to me was on the side of the conservationists. When the article stated," conservationists could potentially protect the largest amount of wilderness acreage in a generation." Although this sounds like a great deal you have to still keep in mind by taking this deal just how much land you are giving up for non-environmental friendly projects. I think that is truly a challenge for any person to accept. The major challenge that I noted in the article was the "Native American issue (180)." Historically, Native Americans have been mutilated and betrayed by those taking their lands, and thus the amount of faith they would have in this grand-bargain benefitting them is understandably little to none. Thus, little to no progress may be done in order to aid them, which can create a whole new set of problems if those bargaining find themselves overstepping the Native Americans's boundaries. The issue that i thought was most challenging was the Native American problem on page 180. Since half the county residents are Native Americans, there needs to be a lot of trust in order to fully come up with a plan. Also this is a tough issue because one of the most important things to do is to try and have all parties participate. the challenge that stood out the most to me is the fight for management of Utahs "wilderness." 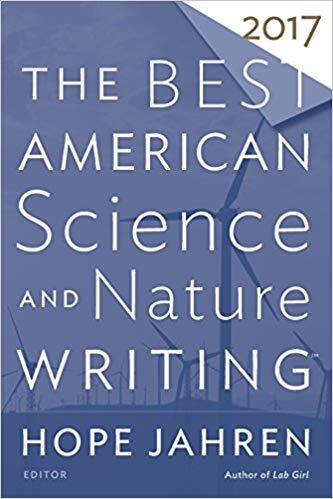 On page 169 the author quotes congressman Bishop who states, "When trying to control land from a four-, five hour flight away, the people always screw up." I believe that this land would be best utilized and tended to by locals with the desire to truly preserve it. The biggest challenge that stood out to me in the article was people and their unwillingness/inability to compromise. The article states that when you "add a highly polarized congress that won't pass anything even remotely controversial and you've got a formula for inaction"(174). Time and time again humans prove that we are our own biggest obstacle, yet we can never seem to learn from our mistakes. On page 180, the author mentions the "Native American issue". Lyman says. "It's a trust thing. I don't blame any Navajo personally who doesn't trust the white community, the federal community, the county." I mean, how can you? Native Americans have gotten the short end of the stick for so long. They've been booted out of their land ever since the U.S. was formed. Regaining trust would be a substantial feat. The challenge that stood out to me the most was trying to get the environmentalists and the state legislators to compromise. This caught my attention because both sides brought up some very solid points. For example, on page 170, Solomon stated that 13 million acres were lost to some kind of development in only 50 years. One point that the state legislators brought up was that undeveloped land can lead to underfunded schools (173). Even thought that may or may not be true, I can see why it is a concern of the legislators. The major challenge mentioned in the article that caught my attention was "Lyman was convicted of leading an illegal ATV excursion into Recapture Canyon, an area that had been partly closed to protect ancient Native American ruins (178). This challenge stood out to me because Lyman was disrupting the land of the Native American people.